Nintendo is warning that despite its best efforts, the wildly popular Wii console may be in short supply this holiday season. Nintendo of America Senior Vice-President of Marketing and Corporate Communications George Harrison said, "There is no guarantee that we are not going to have "out-of-stock" this holiday season. If you see one, buy it. Don't assume that you can come back later and find one." 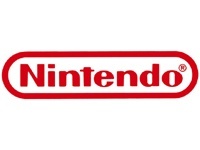 He also said that the company was still trying to boost production levels to meet the demand, but that parts suppliers were trying to gauge their own production levels in order to meet Nintendo's demands. "We're trying to figure out what's the reasonable monthly level," Harrison added, "And as we've seen every time we ship product to the market, whether it's in Japan or here in the U.S. or in Europe, it sells out in a matter of days." The Wii console has been extremely popular since its release, dominating the competing PlayStation 3 and Xbox 360 consoles in sales. However, it has been plagued by supply shortages going as far back as 2006, a situation which remains largely unchanged despite Nintendo's efforts to increase production output.